I’m a huge fan of discernment. I believe that, moving forward, it’s the supernatural gift to be praying for. But regular readers know I’m not a fan of those who feel that God specifically called them to a ministry of critiquing and nit-picking their fellow believers. However, if they feel they must, here are some things to keep them busy; some term paper assignments I would hand out if I had the opportunity to keep them off the streets internet for awhile. This first appeared here exactly two years plus a day here on November 30, 2009. Wow! The first semester of college is ending sooner than it began, so it’s time to hand out the topics for your term paper assignments. You’ve proved yourself more than adept at finding fault with Rob Bell, The Shack, Dan Kimball, Brian McLaren, “New Monasticism,” Rick Warren, “Emergent Church,” anything Willow Creek-related, “spiritual formation,” Donald Miller, and hundreds of others. (But never Joyce Meyer… that’s odd… ) But the topics listed below are things which, strangely, you never cover, even though their impact on Christian culture is huge. Twenty years ago your equivalents would be railing against Christian rock music. So let’s take a run at it, 2011-style. 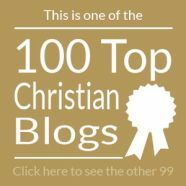 Check out the latest stuff and the complete back catalog from Switchfoot, Skillet, Hawk Nelson, TobyMac, Tenth Avenue North and Kutless and apply the same critical faculties you use with modern preachers and authors to some in-depth analysis of the lyrics Christian youth are listening to. To avoid distraction, use headphones and turn the volume really, really loud so you don’t miss any backward masking. Bonus marks for dissecting the worship songs of Matt Redman, Chris Tomlin, David Crowder and Hillsong United. You’re concerned about a whole new generation of authors and speakers who are speaking into the lives of Christians, but completely ignoring a huge genre. Pour yourself a chai and curl up on the divan with the complete works of Karen Kingsbury, Beverly Lewis, Randy Singer, Randy Alcorn (fiction only), Melody Carlson, Lynn Austin and of course, Ted Dekker. Don’t skip a single page. Bonus marks for a study of the Max Lucado Wemmicks series and all the Steeple Hill/Love Inspired pocket books released since 2006. Remember, it says ‘complete works.’ Let us know what you find. Every Evangelical will tell you that the deuterocanonical books don’t belong in the Bible, but how we do know this for sure? Without resorting to the historical decisions that led to their inclusion or exclusion from the Bibles of different faith groups, and relying entirely on the text and related commentaries, explore the Apocryphal books verse by verse highlighting such things as the possible inherent dangers in Methodists reading Bel and the Dragon. Be sure to spend at least a month on this, doing no other writing nor taking any phone calls during this period of intense study. What are we really teaching our children? 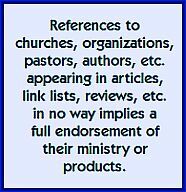 Not one of the discernment ministries with any profile has noted any examination of what’s really being conveyed through the curriculum of Gospel Light, Scripture Press, David C. Cook, Standard Publishing, Regular Baptist Press, and Augsburg Fortress. Part one of this involves study of the publishers listed above; part two involves a more intense study of Group’s Hands-On Active Bible Curriculum by actually teaching a Sunday School class of elementary grade children for the next six weeks. After all, who better to teach kids than the head of a ministry that encourages kids to study God’s Word. (Note: With the kids, you must stick to the curriculum itself; your paper will be disqualified if you get into a rant with the Grade 3 class about Benny Hinn or Joel Osteen.) Bonus marks for all the theological errors you can uncover in the Veggie Tales series. The “study abroad” question: You’ll purchase airplane tickets to connect you with about fifty different venues between now and Christmas to study what’s really going on with Christian comedy. The comedians themselves are quite accustomed to having hecklers in the audience, so they won’t mind a few discernment ministry folk sitting in the front row shouting out, “I think that last joke was built on a flawed doctrinal premise.” A few of our Christian brothers do their comedy shtick in clubs with liquor licenses, so to not miss the ambiance of the whole show, be sure to order a drink or two before the first set. If you’re Baptist and haven’t touched alcohol before in your life, just give the bartender that information with the coded signal, “Make it a double.” Compare and contrast male and female comedians, and those working within the youth ministry paradigm. Just think Mr. Discernment Minister, you might be a redneck! Your finished paper should be 650,000 words or more. That should keep you off the streets, and more importantly, off the airwaves and off the internet for at least 30 days. This is the kind of hard-hitting analysis you were born for. Twenty years ago your equivalents would be railing against Christian rock music. So let’s take a run at it, 2009-style. Check out the latest stuff and the complete back catalog from Switchfoot, Skillet, Hawk Nelson, TobyMac, Tenth Avenue North and Kutless and apply the same critical faculties to some in-depth analysis of the lyrics Christian youth are listening to. To avoid distraction, use headphones and turn the volume really, really loud so you don’t miss any backward masking. Bonus marks for dissecting the worship songs of Matt Redman, Chris Tomlin, David Crowder and Hillsong United. You’re concerned about a whole new generation of authors and speakers who are speaking into the lives of Christians, but completely ignoring a huge genre. Pour yourself a chai and curl up on the divan with the complete works of Karen Kingsbury, Beverly Lewis, Randy Singer, Randy Alcorn (fiction only), Melody Carlson, Lynn Austin and of course, Ted Dekker. Don’t skip a single page. Bonus marks for a study of the Max Lucado Wemmicks series and all the Steeple Hill/Love Inspired pocket books released since 2006. Let us know what you find. Every Evangelical will tell you that the deuterocanonical books don’t belong in the Bible, but how we do know this for sure? Without resorting to the historical decisions that led to their inclusion or exclusion from the Bibles of different faith groups, and relying entirely on the text and related commentaries, explore the Apocryphal books verse by verse highlighting such things as the inherent dangers in Methodists reading Bel and the Dragon. Be sure to spend at least a month on this, doing no other writing nor taking any phone calls during this period of intense study. It’s my wife’s fault. She brought it home with some items left over from a yard sale her ministry organization was running. Last night, I watched a 2005, 2-hour DVD, Mark Lowry Goes to Hollywood. It doesn’t have the “Gaither Gospel Series” banner across the top and doesn’t feature the Homecoming Friends, so technically speaking it’s not a Gaither video, though it was mostly music and no doubt follows the same formula. I did enjoy it. But if someone offered me a ticket for the next time the Homecoming tour passes through our part of the world, I’d probably suggest giving them to someone with a greater appreciation for the genre. It’s still not entirely my scene. Call it denial. Lowry is a wonderful treasure belonging to the Christian community at large. In one of the all-too-few spoken bits on this DVD, he reminded me of comedian Robin Williams. Kinda guy you’d love to spend an hour with, but not over dinner, because you’d be spitting out your food from laughter. He’s proof that you don’t need ADD to be in comedy, but it sure helps. However, it also struck me that Mark is a man of spiritual depth. He knows his Bible, yes; but its words have also traveled that distance from head to heart. The concert also featured The Isaacs, Lordsong, Stan Whitmore, Michael English, Reggie Smith, Bill Gaither (of course) and the Remarkable Choir. It did leave me wanting to hear more from each of them. Nonetheless, I will still insist that I have yet to watch a Gaither gospel video. One has one’s reputation to protect. And don’t you tell anyone. …Here’s a homemade clip someone put on YouTube from the DVD that’s one of my favorite parts, where Mark Lowry describes surviving a tornado in a houseboat. “I would have had a lot more fun if I’d known I was going to live through it;” he quips. It’s the first 3-4 minutes of this seven minute clip. Maybe it has something to do with having greater access to British comedies (before PBS discovered them) but Canadians are a more likely audience for U.K. Christian author Adrian Plass. We share a rather dry sense of humour (or ‘humor’ as Americans spell it) and are able catch more of the references to things British. Adrian Plass’ best known work, The Sacred Diary of Adrian Plass Aged 37 1/4, is itself a tongue in cheek reference to a British children’s book. Granted, the Church (capital ‘C’ that time) hasn’t traditionally gravitated toward comedic writing; and I’m sure that for some, reading Adrian Plass would be an exercise in bewilderment. Others of us, would say Sacred Diary ought to be required reading for every Christian. We who are part of the family of faith do some rather silly things sometimes. Sometimes we don’t realize we’re doing them. Seeing them in print however, is another matter entirely, and nobody captures us in print better than Plass. Plass himself is an enigma. Though a highly respected conference and church speaker, he is very open about entering periods of spiritual doubt and uncertainty. Since many of his more popular books are personal and subjective it’s a theme that appears quite often. His transparency on these subjects can be highly refreshing. To learn more about the man, check out this 2004 Wittenburg Door interview. I’ve just finished Bacon Sandwiches & Salvation – A Humourous Antidote for the Pharisee in All of Us (Authentic) available in North America through STL Distributors. 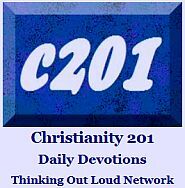 This is an A-Z encylopedia of things Christian and Biblical interspersed with short anecdotal stories. After several attempts, his explanation of Christian choruses — how we often mouth lyrics that we can’t possibly understand — still brings me to where I can’t read his alternative lyrics aloud with breaking up. Later this year, Zondervan U.K. is releasing three new titles, which we’ve been told we will be able to get here in the frozen north, but are not releasing through them in the U.S.
Hopefully, U.S. readers who are fans will be able to get their hands on them. They are releasing his full-length novel Ghosts again, under a different title to try to help it find a larger audience.